Our 19+ Specials are group volunteer programs for anyone over the age of 19 interested in contributing to sustainable development. Each program takes place over two weeks during the summer in developing countries located in Africa, Asia, and Latin America. These are short-term programs based on a model similar to our successful High School Specials for teenage volunteers. We have found that their time, energy, and dedication has made a tremendous impact on local communities, even if they are only abroad for a short time. When you sign-up for a 19+ Special, you will be supported by a Projects Abroad Volunteer Advisor. They will guide you from application to departure, and address any questions and concerns you have. Upon arrival in your chosen country, you will be given a full country and project induction to familiarize you with your surroundings, laws of the country, project outline and facilities, and what is expected of you. Each project has a structured timetable, a supervisor, and transport to and from the locations. Social activities and weekend outings are planned in advance and Projects Abroad staff members will accompany you as you explore the country during your free time. Our volunteers come from all over the world, including Japan, the United Kingdom, South Africa, Germany, France, China, Switzerland, and more. All volunteers participating on a 19+ Special arrive over the same weekend and share the experience of volunteering abroad from day one. When booking flights, you can choose between booking flights with our in-house travel team or you can book your own flights. Booking your flight with Projects Abroad places you in direct contact with our travel team who source the best return flights for this project. Changeable air tickets will be booked as direct as possible, and where there are a few volunteers traveling from the same country, they will be placed on the same flight. 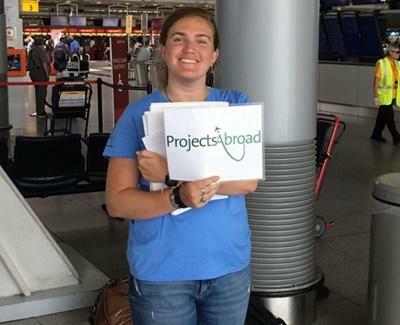 On arrival at the airport, a clearly visible Projects Abroad staff member will be waiting to welcome you. They will help you with your luggage and take you to meet your host family or to the shared accommodation where you will meet the other volunteers. Transport back to the airport will also be organized for all volunteers once their project is completed. 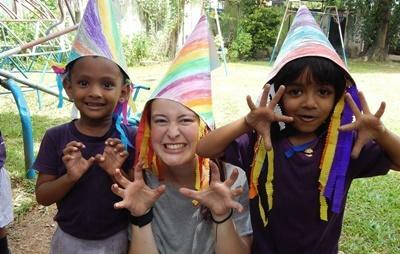 Volunteering abroad for the first time should be an exciting and meaningful experience. Our 19+ Specials help keep you focused on this, while we take care of the rest. The fee you pay includes: food, accommodation, travel and medical insurance, all necessary work-related transport, 24/7 support from our local staff, as well as social activities and weekend trips. The fee also includes the materials that will be used for the duration of your placement. All social activities and weekend outings are planned ahead of your arrival and our staff ensure that you have the chance to fully experience the culture and sights of the country you have chosen. You will also have a chance to explore further during your free time.